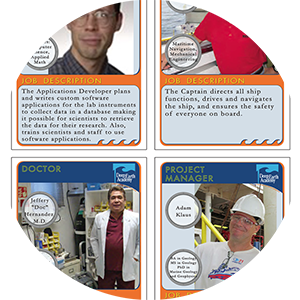 Download the Career Trading Cards pdf to discover the variety of career options available on a given expedition. Learn how you can translate your interest in computer sciences, art, engineering or researcher into a career at sea. Print out the pdf on both sides.